In the argot of the Mafia, it is a great compliment to be called a "stand-up guy," one who stands up to considerable pressure and threats from law enforcement officials and refuses to turn stool pigeon. The witness protection program is and has been loaded with fugitives who fall short of "stand-up guy": Joe Valachi, Vinnie Teresa and Jimmy Fratianno, for example. In fact, almost all mafiosi doing time can win leniency if they talk, but many have refused. This does not always reflect strength of character but, as in Peter Joseph Salerno's case, the fear of mob retribution against themselves or members of their family. Peter Joseph Salerno had every intention of being a stand-up guy. A professional jewel thief, he came to have close contacts with the Genovese crime family. However, Salerno began to believe that when in doubt the mob will kill a potential stool pigeon. He was in Atlanta (like Joe Valachi) when he learned there was a contract out on him, and he decided to turn, becoming one of the federal government's most reliable witnesses against the Mafia and on whose head is posted $100,000. 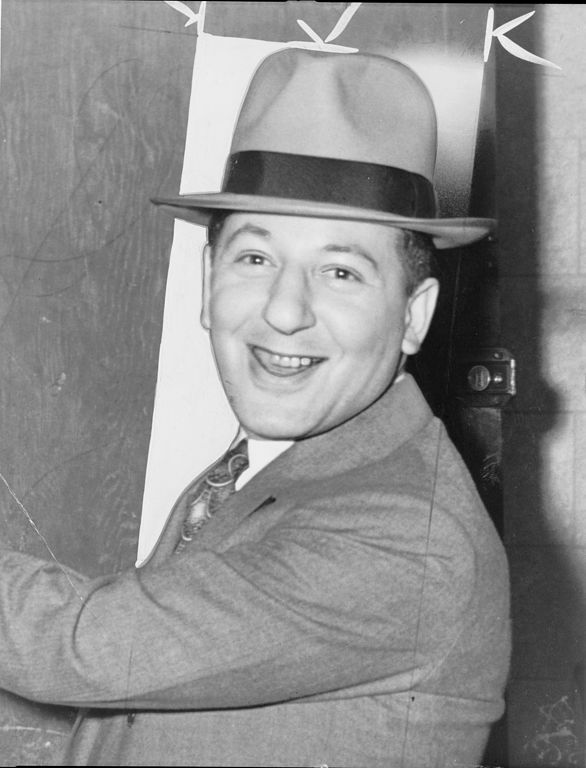 Probably the highest-ranking stand-up guy in syndicate history was Louis Lepke, the labor racketeer and boss of Murder, Inc., who became in 1944 the only top-level crime executive before or since to be executed. Lepke was known to have information concerning high political and union officials, and his revelations would probably have put Governor Thomas E. Dewey in the White House. I am anxious to have it clearly understood that I did not offer to talk and give information in exchange for any promise of commutation of my death sentence. I did not ask for that! [Lepke himself inserted the exclamation point] ... The one and only thing I have asked for is to have a commission appointed to examine the facts. If that examination does not show that I am not guilty, I am willing to go to the chair, regardless of what information I have given or can give. Obviously the phrase "information I have given" meant Lepke had talked some, but, by using his wife to make the announcement, it was clear he was signaling the syndicate that he was not talking about the crime cartel. He was talking only about politicians and labor people, which the syndicate would tolerate so long as he did not reveal information about the mob. By using his wife as a spokesperson, he was telling the boys he realized no member of his family would be safe if the crime leaders thought he was talking about the organization. What Lepke couldn't grasp was that Dewey, whatever his desires and ambitions, could not possibly accept a deal that delivered political figures, his electoral enemies, but let every important crime leader in the country—Luciano, Lansky, Anastasia, Siegel, Costello, Adonis, Lucchese and many others—off the hook. As a result, Louis Lepke went to the chair—a stand-up guy.